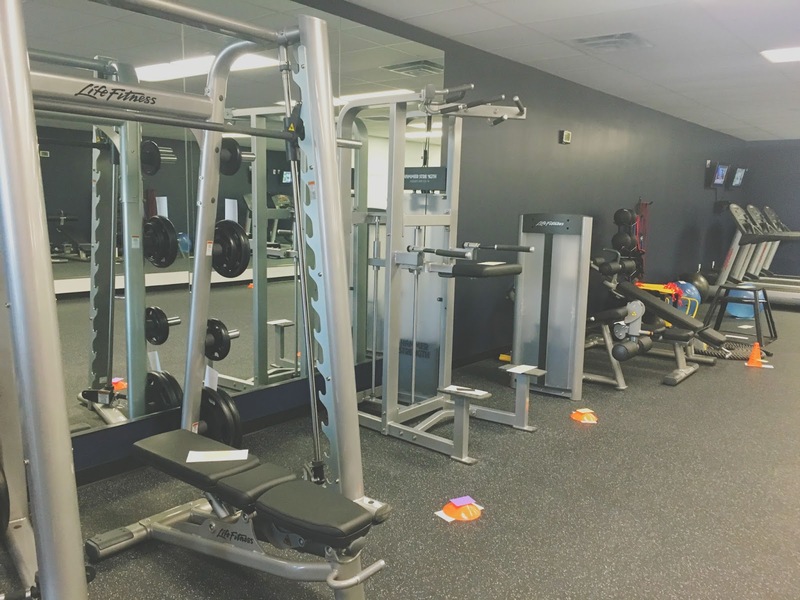 This post was done in partnership with My House Fitness in Houston, who provided me with a complimentary workout. 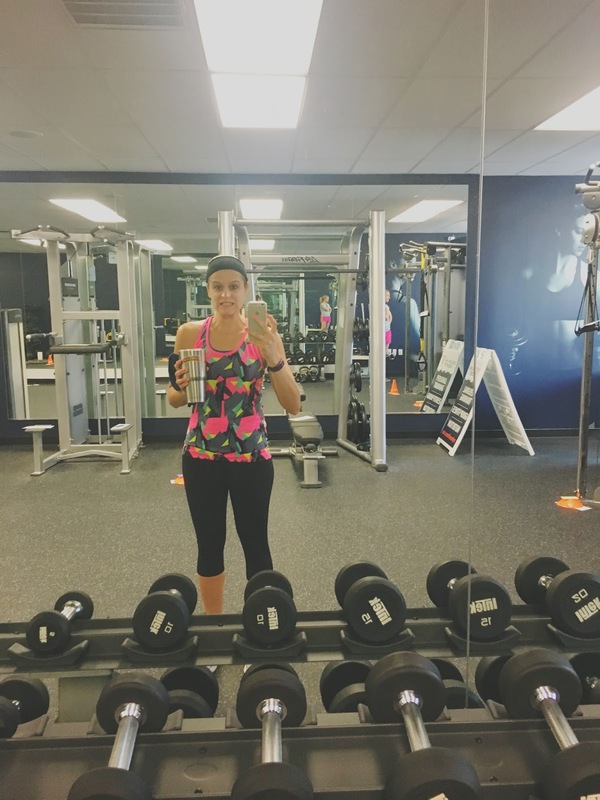 I was not monetarily compensated for writing this gym post. All opinions are completely, 100% my own! Despite me having had a *little* bit of wine the night before, I ended up muscling through (pun totally intended) and having a fantastic workout at My House Fitness! 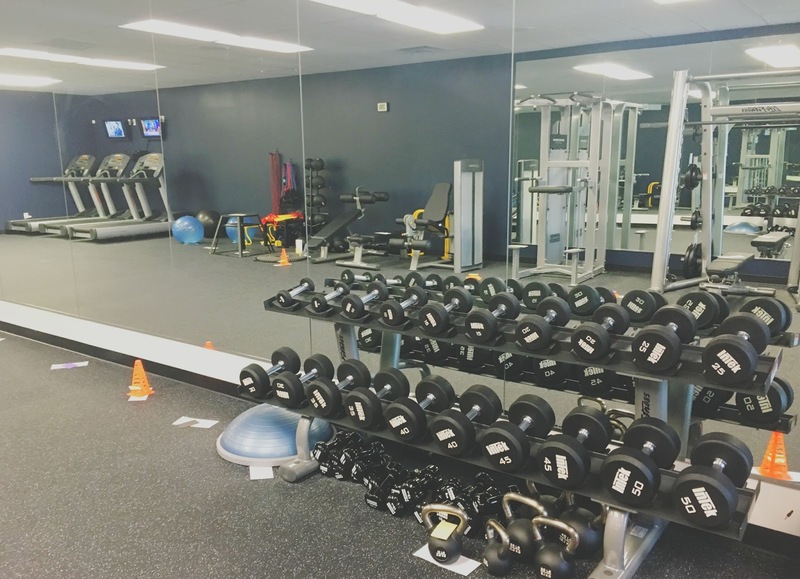 My House Fitness is a boutique gym that is new to Houston and Richmond. I attended a class at their studio in the Heights. 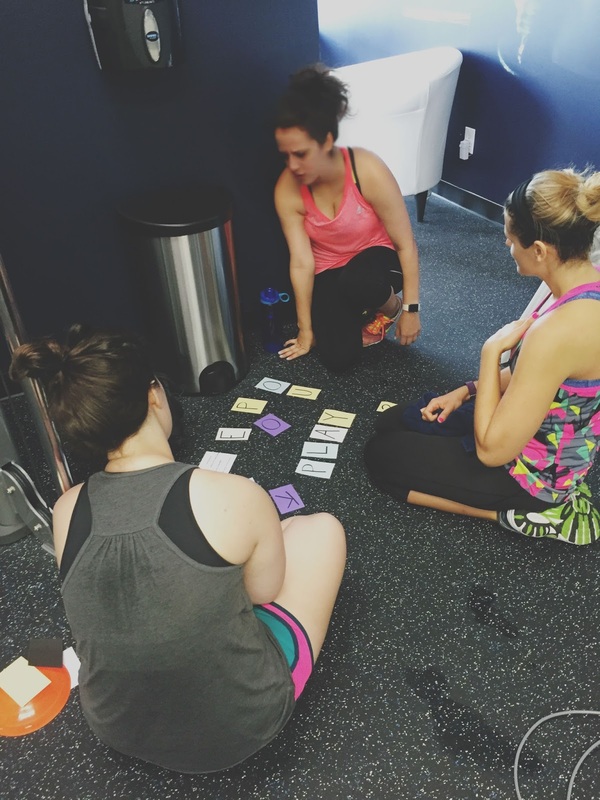 My House Fitness also offers community-centric trainings for every fitness level, as well as nutritional and lifestyle support. 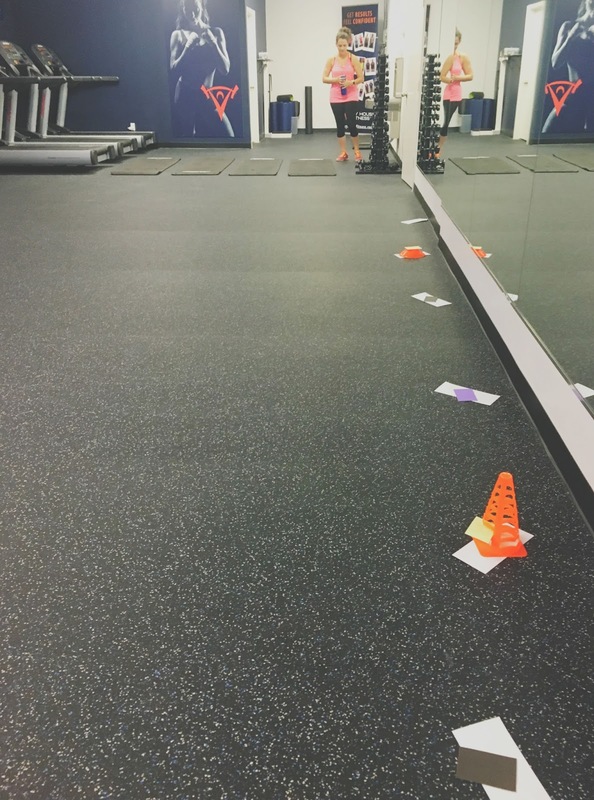 Specialists take an individual approach by helping gym-goers with personalizing their goals, providing them with measurable progress, and encouraging them to have fun in a non-intimidating environment. The intimate space is incredibly laid back and welcoming. Chris Markos, who owns the Houston Heights gym with his wife Lyndsey, greeted me with a smile and great enthusiasm. I quickly found out that the other folks attending the class with me were equally as enthusiastic and super chill. My House Fitness is the opposite of a pretentious gym, that's for sure! The class I participated in that day was their "Games" class, which was basically one hour of adult recess. And yes, it was absolutely as awesome as it sounds! On that particular day, we were divided into two teams in a challenge of hangman - meets Wheel of Fortune - meets a circuit training class. We were given a card which had blanks on it that would eventually become a sentence. Several stations were set up with letters or hints face down. To receive a letter or hint, we had to complete the exercise assigned to its station. 10 burpees? You get an R. 30 mountain climbers? I'll take an S, Trebek. (Yes I realize that's Jeopardy. You get the idea). And look at that exquisite form I've got going on! Just kidding, please don't, I look like a gremlin. Also, WHERE ARE MY PUPILS. The game was SO much fun, and while I definitely got a great workout, I was having such a blast that it didn't seem like actual work (though my thighs were whistling a different tune the next day)! And nbd my team (TEAM GRYFFINDOR) won the challenge, and the prize was a week of free small group training for everyone on my team! 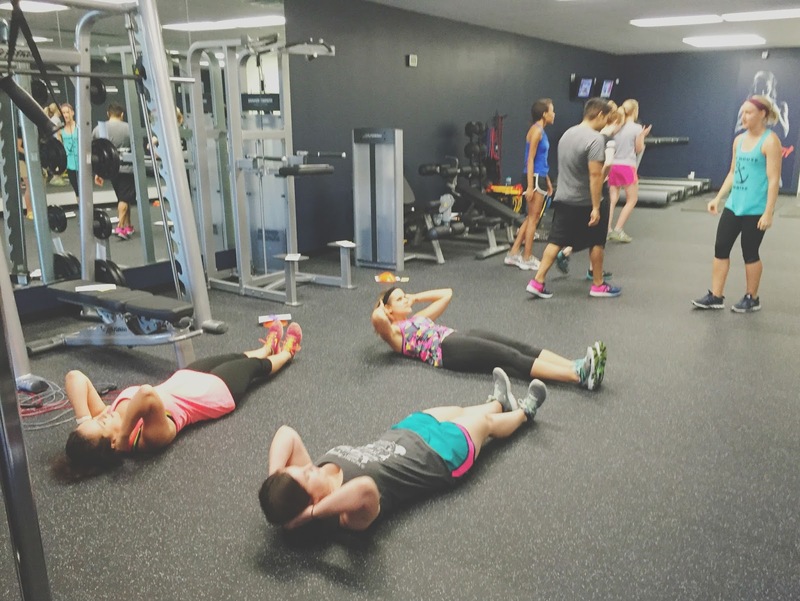 My House Fitness is a wonderful new addition to Houston's workout scene. I cannot stress how comfortable everyone made me from the second I walked in, what a great workout I got, and just how fun the class was! And even after the hour workout, everyone hung around for a while after to socialize, a definite indication of what a positive environment this place is. 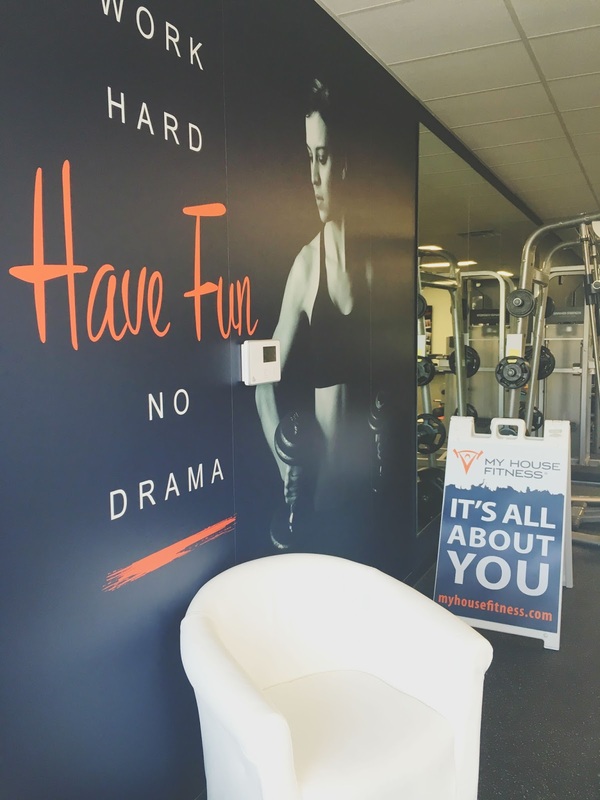 If you're into community-oriented, personalized, humble, FUN workouts, My House Fitness encompasses all of those things and more! I decided to give my week of training to one of you all so you could experience the awesomeness of My House Fitness for yourself. HOWEVER, Chris and Lyndsey are so wonderful, that they agreed to DOUBLE the training! This is such an AWESOME deal, y'all. So, one lucky Adventures in a New(ish) City reader will receive two (2) weeks of small group training (which includes their games class! ), twice a week, totaling in four (4) sessions at My House Fitness in the Heights, located at 1507-A West 18th Street, Houston, TX 77008. To enter, go to the giveaway box below, and log in with your name and email address (this will not be posted publicly). Once logged in, click the "Enter Contest" dropdown, and then the "Enter!" button. 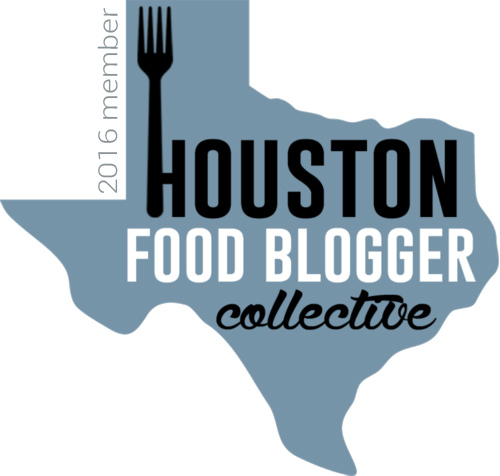 One entry is allowed per person, and only Houston-area residents are eligible. The contest starts NOW - Wednesday, July 27, 2016, and it ends on Sunday, July 31, 2016 at 11:59 pm CST. **Bonus: If you go over and like my Facebook page, follow me on Instagram, and/or follow me on Twitter, you get a bonus entry for each social media follow. Just click the dropdown on "Like My Facebook Page", "Follow Me on Instagram," and/or "Follow Me on Twitter," then click "Enter!" for each one that you follow! This is applicable for existing followers, as well as new ones. Because you need more recess in your life.